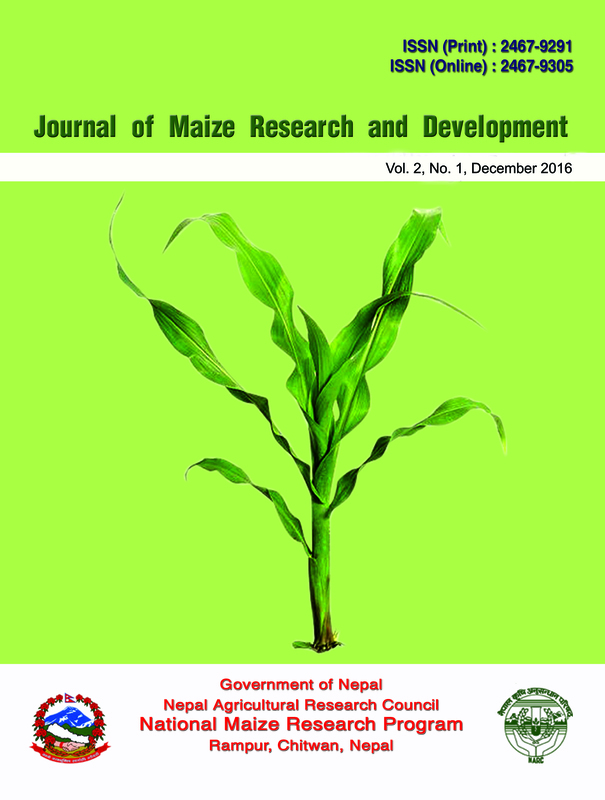 Food preference by the maize weevil, Sitophilus zeamais Motschulsky was studied on seven different crops and varieties including maize, wheat and rice. They were maize cultivars namely Arun-2, Manakamana-4, Deuti, buckwheat local cultivar, wheat cultivar namely Annapurna-1, polished rice-Radha 4 and unshelled rice cultivar Mansuli under storage condition at Institute of Agriculture and Animal Science, Rampur, Chitwan, Nepal from June 2013 to February 2014 . The hosts were tested using completely randomized design with three replications and were laid in free-choice and no-choice conditions. The maximum number of grain loss was recorded in wheat followed by polished rice respectively. Similarly, the highest weight loss was recorded in polished rice followed by Wheat in both conditions. F1 progeny emergence of weevil was highest in wheat followed by polished rice in free-choice and in no choice conditions, the highest progeny were emerged from polished rice followed by wheat. The lowest numbers of weevils emerged from rice in both conditions. Maximum germination losses were recorded in wheat (24.33%) and lowest in Arun-2 (9.67). The rice showed a relatively higher preference to maize weevil under storage condition.